After 4 days enjoying a cruise ship trip across the ocean, i returned to my next stop in Singapore before my flight to Jakarta, Indonesia. Long time still going on until the flight, of course i use to visit a restaurant in the area of Scotts road and no strange to people of Singapore i guess. 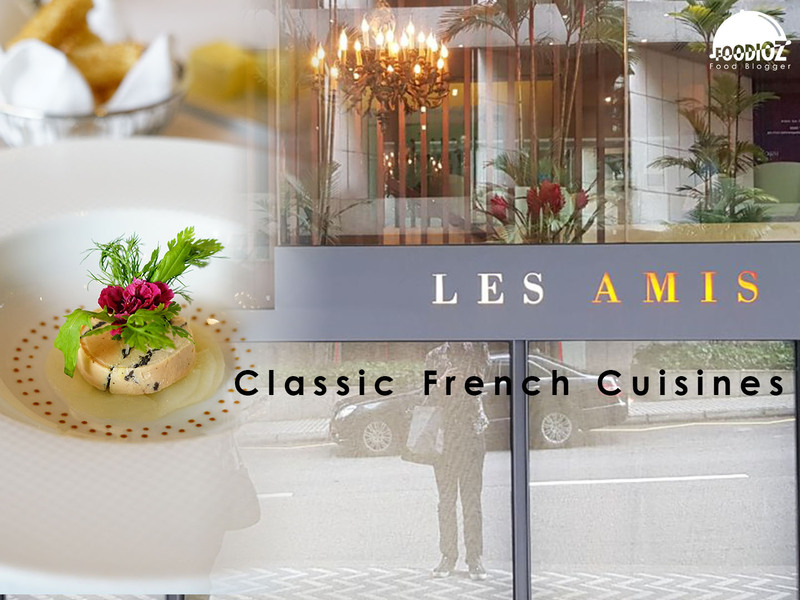 Les Amis is a French restaurant that has been established long enough to bring French cuisine to Singapore. 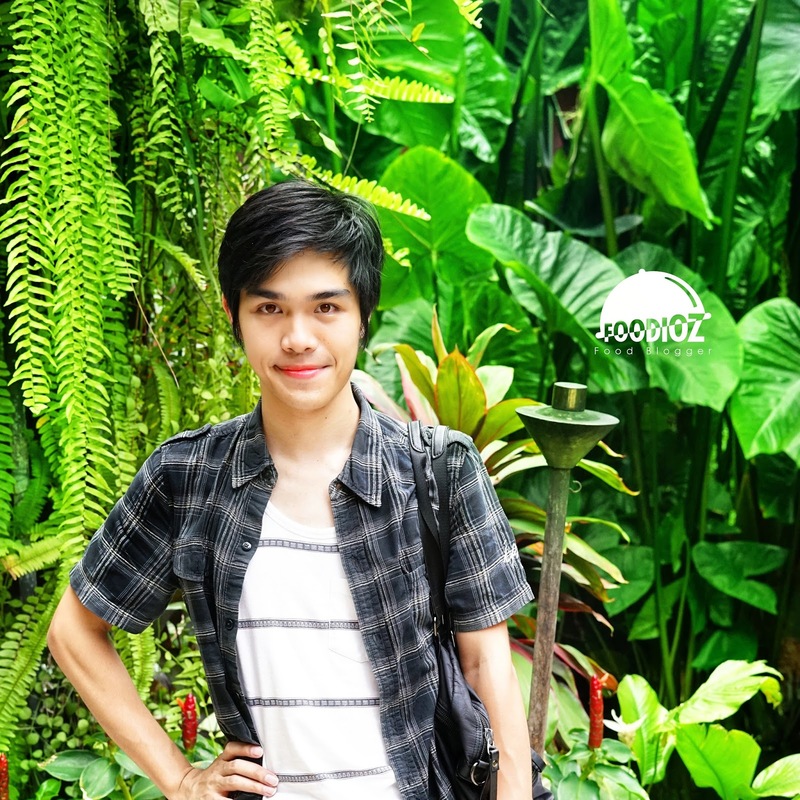 Large enough area with 2 floors and complete with private room. The elegant concept is clearly visible from the room with plain colors, wooden elements on several sides, white table and chairs, red touches on partitions and chandeliers that hang beautifully. As the name implies, Les Amis offers the experience of enjoying French cuisine with cooking techniques and presentation that is certainly amazing. 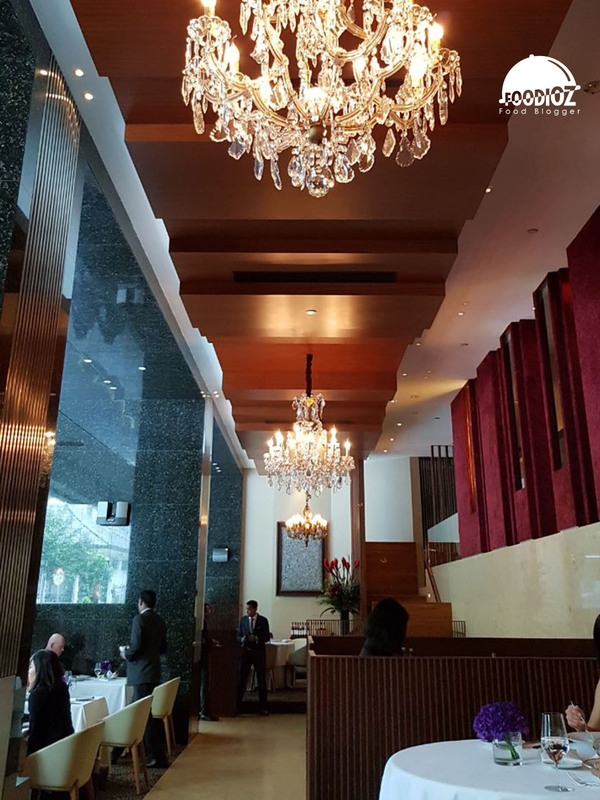 Each visitor will be able to choose a set menu with 3 or 4 dishes at lunch. Each set will consist of an appetizer, main course to dessert with a varied selection. 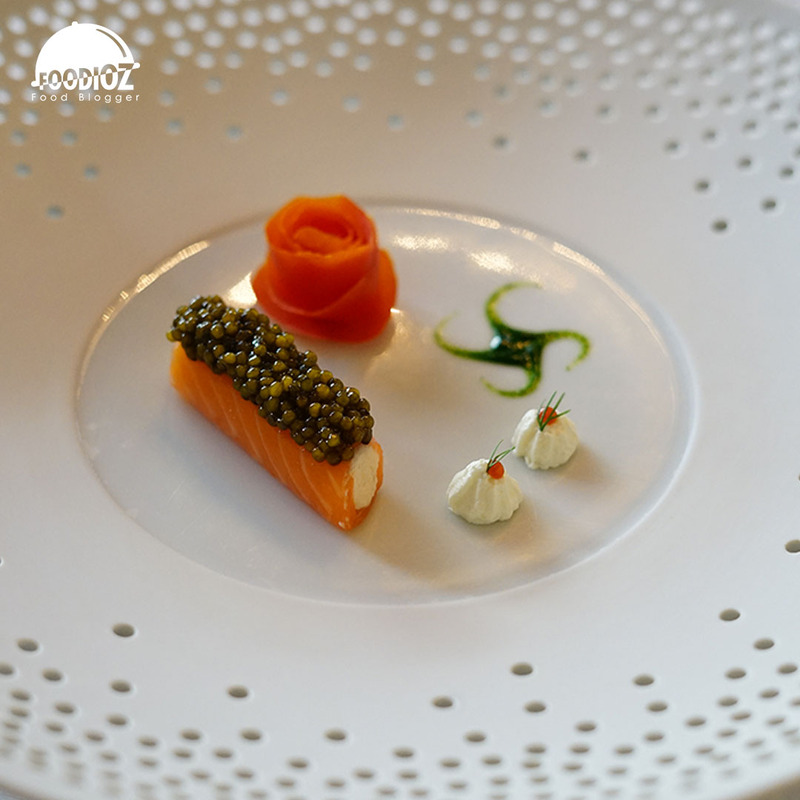 Before starting the appetizers, each visitor will be served with an amuse bouche which is a small French meal with a Frivolité of Salmon Façon Gravlax dish, a beautiful food appearance, comté cheese wrapped with salmon slices and complete with caviar on it. Fresh taste with richly tasty cheese is very goodwhen enjoyed once together. 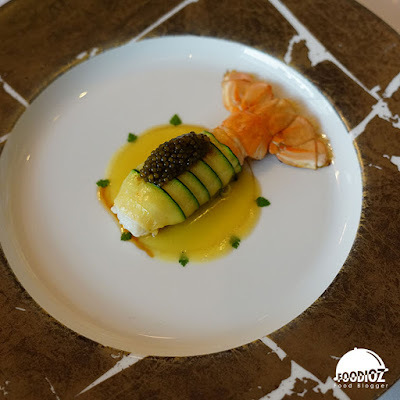 Another classic French menu is also amazing, every meal is served with a beautiful presentation and of course a high technique process. Each element offers different tastes. 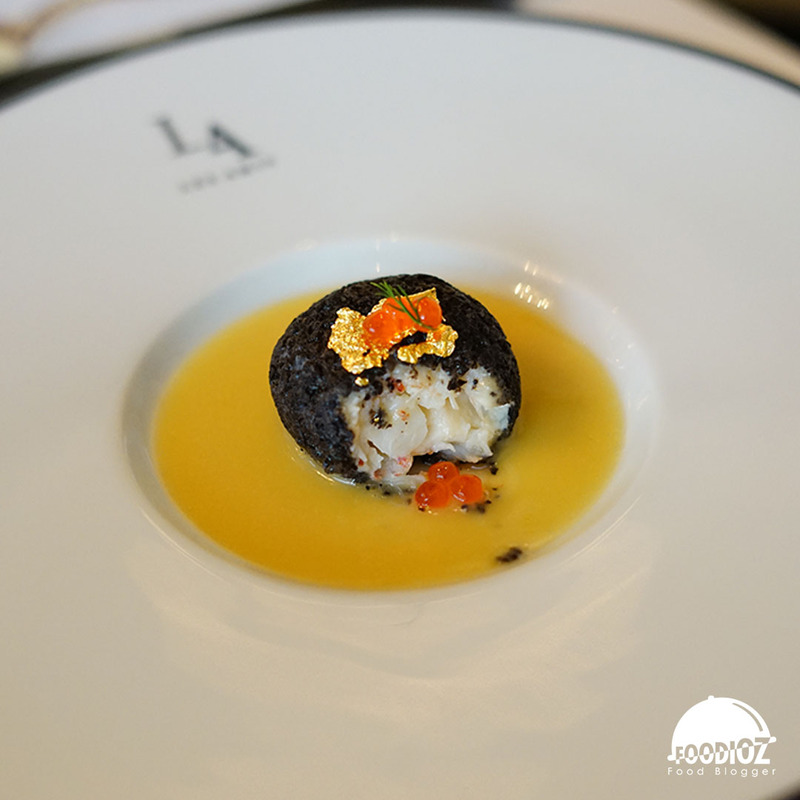 i chose some seafood dishes like Le Crabe En Frivolitè, a crab meat dish wrapped in a crisp feuille and then fitted with caviar on it. There are also lobster dishes that certainly shake the tongue. Using good ingredients, lobsters are processed into tasteful dishes such as La Rouelle De Homard Bleu, black-truffle lobster mousse and served with tasty fish sauce. The soft texture, the fragrant aroma of truffle is perfect when enjoyed with the sauce. 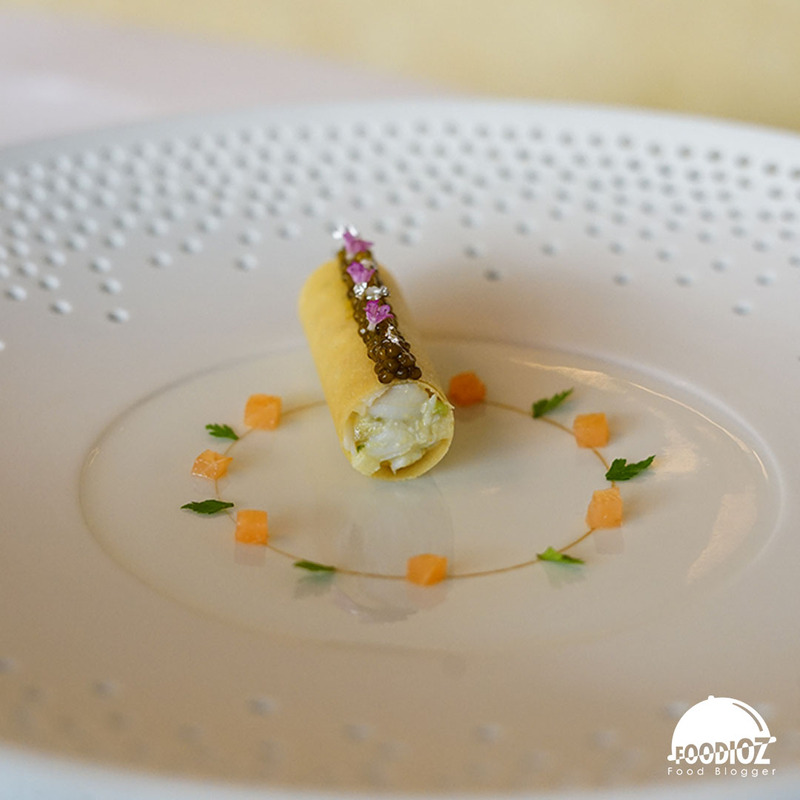 No less impressive, La Langoustine De Loctudy, large-sized langoustine, beautiful bright colors wrapped with courgette and served on the emulsion of extra virgin olive oil. Soft langoustine texture, fresh quality, not many spice elements here but tasty that fits well done. In addition to seafood, of course there are also beef and duck dishes that should be an option. 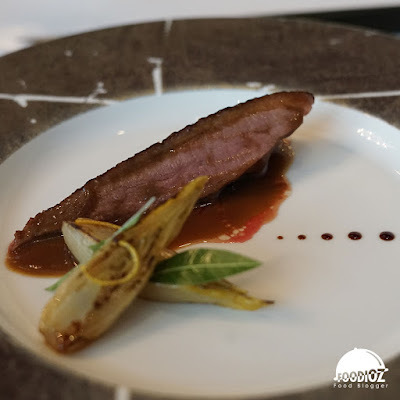 Le Canard De Challans A L 'Orange, an exciting duck meat dish, served with a sauce with fresh and savory orange flavor also complete with winter endives that provide a taste balance. After enjoying some of the main menu, do not miss the thrilling taste of a typical French dessert. 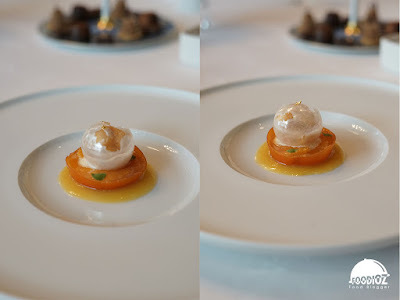 Le Clementine is one of them, an orange dessert coated with icing that is round to a pearl. Fresh taste is very delicious with the dominant orange is perfect once enjoyed after a heavy meal. 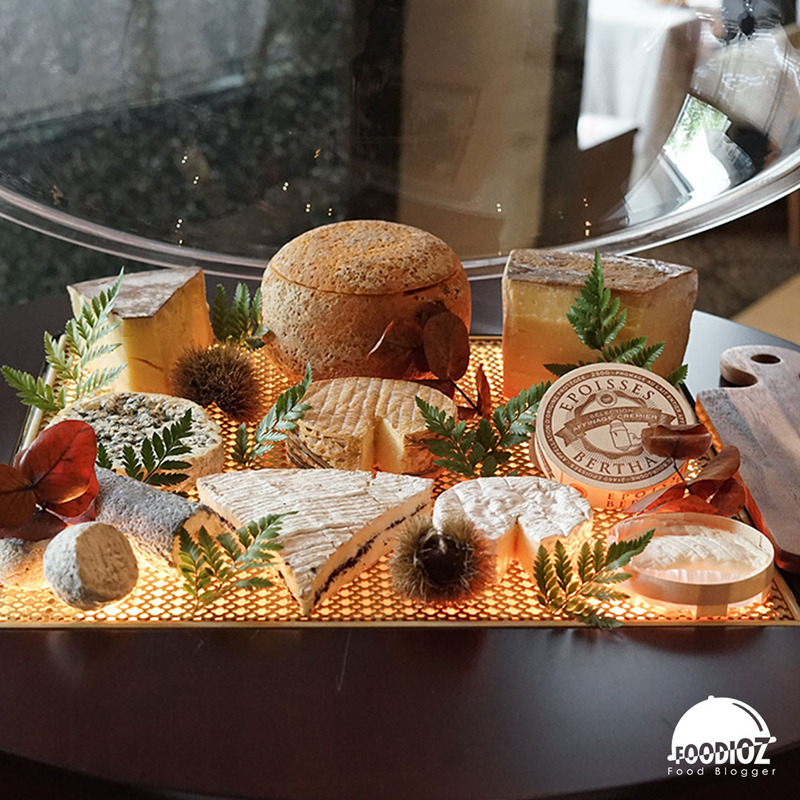 Created for cheese lovers, a variety fromage presented on a beautiful display, when opened arouse a strong enough to smell from a distance. Fresh cheese with good quality and quite alot of variant. There is a mimolette, comté, brie de maux and fourme d'ambert that i try this time. Each cheese has different colors, aromas, and textures.